Ask your hair and makeup professionals to let you know how long each girl is going to take – generally hair takes longer than makeup and hair is best scheduled first. 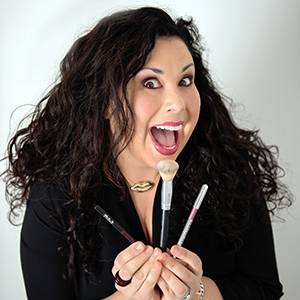 If you are getting your hair done in a salon and your makeup done at the house, venue, hotel, ask the salon ask your makeup artist what time is best to start hair and makeup based on what time you need to be ready. You may have to schedule some girls get their makeup done before hair and vice versa. If both hair and makeup is being done on-site, there is a little more wiggle room in creating the schedule. Hair usually takes 45-60 minutes and makeup can take between 30-50 minutes. If you have a large bridal party, it’s best to have your beauty team bring an assistant or two so more girls can get done at one time. If your photographer is coming to take “getting ready” shots, it’s best to already have your hair and makeup done or almost done. 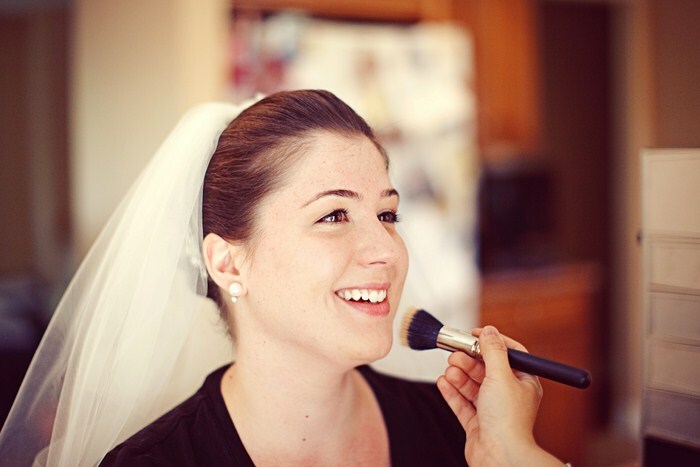 Putting on your veil and your final makeup touch-ups make the perfect photo opportunities. Once you have a set schedule with your photographer as to what time you should put on your dress (moms and maids should already be dressed) you can count backward a 3-4 hours to figure out the best start time for hair and makeup. If you’re bridal party is coming from all different places, have them all meet at the same time before the first are slated to go. If everyone is there and ready, they day will run much smoother and you won’t have to worry about running late. If you are having an early morning wedding and feel bad making your girls get up before the sun, have some coffee (or Mimosas) and bagels waiting for them. The most important thing to remember is to add a few minutes to each girl’s hair and makeup time so you have a little bit of wiggle room in case the prepping goes long. The bride shouldn’t be the last one for hair and makeup – being slated in the middle or 2nd to last is usually the best idea. If you are afraid that your hair and makeup won’t last – rest assured that you are in good hands and that your hair stylist and makeup artist have done many a wedding before yours and that this is their area of expertise. Ask them if they can stay until you get into your dress so you have one final touch-up before you are out the door. You can always as your hair and makeup artist to work together to create a schedule for you. I do this for my bridal clients all the time!